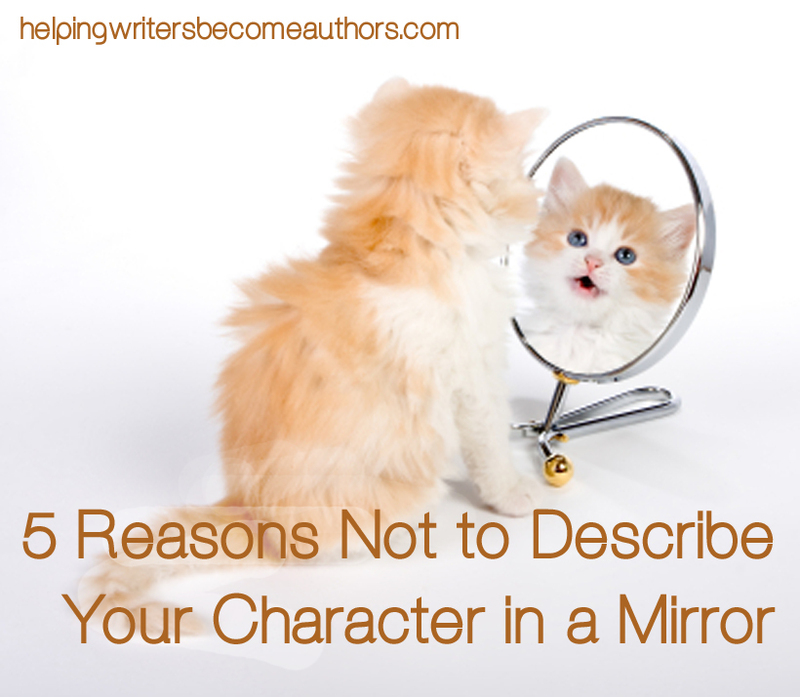 This week’s video offers five good reasons you shouldn’t describe your character by having him look at himself in a mirror. 1. More often than not, it’s going to make your character sound really self-obsessed. How many of us get up in the morning, look into the mirror, and take note of our hair and eye color, much less study every minute feature? 2. Frankly, this kind of character description is boring. 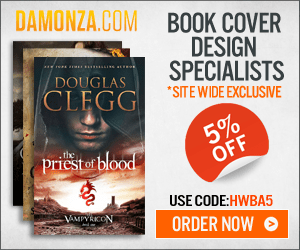 Most readers simply do not care that your protagonist has ivory skin, big blue eyes, and gobs of silky black hair. They’re going to appreciate a few physical details, but what they really care about is the character’s personality. 3. The reason it’s boring is that it’s often nothing more than an info dump. Usually, it ends up as a grocery list of descriptors that fails to add any kind characterization or plot advancement. 4. It’s contrived. To anybody who’s got his thinking cap on, it’s going to pretty obvious that the only reason the character is looking in the mirror and describing herself is so that you, the author, will have an excuse to spout off this misplaced description. 5. 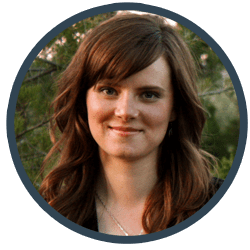 Finally, even if some of your readers fail to notice this clumsy technique, you can bet you’re going to magnificently annoy any and all fellow authors who happen to be reading your book—because they will notice. Tell me your opinion: How much character description do you like to include in stories? I don’t know if it’s true of most readers, but I always come up with my own image of a character, regardless of how the author has described him. I can’t be alone in this thinking because I’ve read great novels where the author never offers any description of the charcters. I try to keep any description to one item, two at the most. As far as self-descripton of my protag, I might try something like “He always hated the way women complimented his pretty blue eyes. It was akin to ‘he has a nice personality’.” But honestly, I think you could write an entire series without dropping one descriptor and I woldn’t notice. Readers vary on this, I think, but most are in the “less is more” camp. Personally, I like to align my vision of the characters and settings as closely as possibly with the author’s, so I always appreciate a nice handful of descriptors. But, of course, my vision can’t help being unique to me. I’m sure most authors would be appalled at how differently all their readers seen their characters! I prefer to let readers create their own image of the characters. The character’s way of speaking and his actions convey much more about his physical appearance than boring descriptions. Definitely. Nothing wrong with physical descriptions, but they’re far from being the most important aspect of a character. I do that too…. I want people to get their own idea of, say, the heroine, I just want to give them a few details as a basis. I hate when people describe their characters via mirror, what I do instead (well, what I AM doing) is I have the male main character describe the female (possible love interest) main character, because he’s more likely to notice details. And, maybe it’s just me, but I thinks it helps the story along better. Great approach. When you’re able to have one character describe another, you get twice as much for your money, since the description inevitably reflects upon the one doing the describing as well. Am an amateur on writing, but it has always been my dream. My mentality on describing a character is to integrated in a narrative of the story instead on having a complete page or section on the story to describe the character physically. Blending it with actions on the story can make a description to have sense in the narrative, and less boring. Your instincts are spot on. Authors can share a huge amount of description in a non-invasive way by scattering details throughout otherwise meaningful scenes. A character doesn’t need a mirror to know him or herself. If a character thinks about the way they look they will also not think look at my gorgeous hair/ eyes etc that is just unrealistic, unless they are horribly vain. Also if another character is thinking about the appearance of your main character it should not be without reason. It is alright when they first meet but you are right then its still a matter of less is more. We don’t need to know the exact shape of whats his names fingernails. Exactly. Authors always need to consider why they’re including certain details. How does the shape of the character’s fingernails advance the reader’s understanding of either character or plot? Thats the thing isn’t it. Some people just seem to think that the reader has a burning desire to know this, while in fact they would most likely be irritated because they have a different picture in their head. P.S. I was just thinking…..I try to use physical descriptions in the same way that some others in the comments above referred to; scatter throughout the scenes of the book, in common-sense places. However – correct me if I’m wrong – I think it’s important to do that in the first few chapters of the book, or else it’s rather jarring. For example, if I’ve been picturing the hero as tall dark and handsome for the first 12 chapters, it’s going to really pull me out of the story to read that he is in fact blond, 5’2″, and uncommonly homely. It makes the reader feel unsettled or betrayed somehow, I think. Do you agree, or is that just me? I’m of the opinion of you’re so far along in the story that the ready already has a firm picture in their mind, then it’s just too late for description. Yes, you’re absolutely right. The only thing more annoying than an author who over-describes his character is one who neglects describing him until long after the readers have already cemented an image in their minds. I tend to scatter physical description throughout narrative as best I can, usually keeping it brief and somewhat vague. The exception is when I have a main character who possesses one or two traits that are extraordinary in relation to the culture or other characters around him. I feel sometimes calling attention to those traits helps the character stand out more in the reader’s mind (though, obviously, overstressing isn’t a good idea). I’m somewhat of an illustrator, so I tend to nail down what my characters look like outside the context of the story. Not sure if that’s for better or worse. This is the best approach. 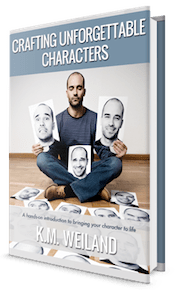 It allows readers the details they need to bring the character to life in their own minds, without overwhelming them with info dumps of description. I generally only ever describe the characters if it’s at least somewhat plot relevant, though I don’t come out and tell the reader that, necessarily. In my current WIP, how a few people look is a key element that pertains to (mis)identifying some individuals. But yeah, I’m not a fan of detailed character description, when writing OR reading. Let me envision whoever I want for the role you’re writing, if possible. An excellent rule of thumb, in regards to any facet of writing, is to pay attention what you like as a reader and try to recreate it. Interesting post. I really don’t care for long descriptions of characters. I prefer a few descriptive words and lots of actions which make the character real to me. I don’t care if the character has blue eyes or a bump on her nose (well that might be an interesting characteristic). The mirror image…cliche. I truly appreciate the comments your received on this post. Most helpful in drawing my own characters. Thanks. The most interesting physical characteristics are always those that in some way illustrate or help define the character’s personality. Readers really don’t care if your character looks like Paul Newman; they only care if he acts like Paul Newman. Really, the major problem with this technique always comes down to lameness. If it’s not lame, then it probably works just fine. There’s absolutely no reason a character can’t look in a mirror and observe what he sees–so long as it makes sense within the story. For my protagonist, I provide no description unless it has purpose. For example, in the eyes of his capturers, he sees the reflection of a “defeated human, scruffy and haggard with ragged, unkempt hair and beard.” He vows to stop looking that way by sitting up straight and dignified, and he does what he can to comb his hair and beard. This also sets up a scene later where he gives himself a haircut and beard trim that leaves him looking like a bearded five-year-old who had found a pair of scissors, and leads to some fun banter with the Dragon. Going beyond the protagonist, the descriptions of other characters also have purpose — to reveal what they are, to deepen who they are, and in the case of the romantic interest, to explore the protagonist’s perception (her camouflage pattern of browns, tans, greens, and blues was the most beautiful display of ordered chaos I had ever seen). Even descriptions of locations have purpose, such as providing a sense of place, setting the mood, or preparing the stage for future events. If descriptions of characters or places serve no purpose other than flowery prose, they are proverbial “darlings” that should be removed. Purpose, purpose, every word needs purpose. This is the kind of approach that not only *doesn’t* annoy readers, but that also ends up creating perceptions of characters and settings that are all the more vivid for their choice sparseness. I’m writing a first person memoir – starting with age seven. A seven year old notices different things in a person than an older kid or an adult. So the descriptors have to be age appropriate. Haven’t solved the problem of describing myself – a hint here and there like my mom makes me get a perm, I’d rather have long straight hair. A lot of what the reader sees in me are actions like digging fingernails into my palms, etc. Or my father’s description of me and how that impacts. It’s hard to describe myself in first person. Any suggestions? Another good post – as usual! 🙂 I’m in the “sprinkle a few descriptions throughout the manuscript, as they make sense and move the plot or characters along” camp. I don’t dislike physical descriptions (unless it’s the mirror thing or otherwise lame), but if the characters are well-developed, I find I don’t miss descriptions if they aren’t there. I also agree that any descriptions – especially important ones, like if the swashbuckling hero has a shriveled hand – should be introduced early on, with occasional reminders as appropriate, so as not to jar the reader’s mental picture. In my current WIP, the human characters are in a magical world inhabited by smaller, hobbit-like people, and so most of my physical descriptions refer to height, reach, broadness of shoulders, etc. One of my human characters is shorter than all the others (though not unusually short), which makes her closer in height and build to the non-human folks. With that as a (hopefully appropriate) example, I think physical descriptions of characters should really fit the story, the narrative style, the story’s world, and the genre itself. I’ve noticed that a lot of romance sub-genres have a lot more physical descriptions than something like a psychological thriller. Good point. It really does depend on genre, to some extent. Romance, with its emphasis on physical beauty, has readers who are much more interested in character appearances than readers of, say, historical dramas. The thing about a character like Anne, who is known for a specific physical characteristic, is that her description still leaves all kinds of room for each reader to envision her differently. Good example. I absolutely agree with you about mirrors: using them to describe a character is a sure giveaway that the writer is an amateur. I would add to this: starting anything with people waking up, or misusing weather to create a sense of atmosphere. And honesty requires that I admit to having committed every one of these no-nos. But of course in THOSE instances it made perfect sense. I agree with you. The book that inspired this post also opened with a very long and boring segment of the character getting out of bed and preparing for her day. This is something I’ve struggled with. I tend to have too few descriptors and since I write in first person it can be interesting to find ways to describe the character. I’ve found a couple of ways around this and tend to do as others have stated and splatter them through the book, but mainly in the first two chapters. In my novel ‘Sorrow’s Fall’ a description of the main character Sorrow comes in the second scene and is given by secondary characters remarking on his appearance. Their attitude characterizes not only his treatment but the general feeling toward him. The second description comes early in the second chapter as he compares himself to another character. It’s only one sentence but tells us a lot about how he views himself. It’s hard to go wrong with a description that’s only a sentence long. Great post! The mirror description is definitely a fall-back option used by a lot of inexperienced writers, but there’s no doubt that ‘self-description’, in first person particularly, is challenging. I was wondering if you had any tips on how to subtly introduce physical descriptors when it comes to first person narratives? 1. When in doubt, skip the description. Readers need it less than we sometimes think. 3. Focus on only the descriptors that are important or pertinent to the scene. For example, if the hair color *needs* to be described for some reason, you could use the wind (which, hopefully, is also useful to the scene in some other way) to give your character an excuse to think about or interact with her hair. Subtlety is king in descriptions of this sort. If you can stick in a few details here and there, readers won’t even notice you’re feeding them information. As long as the dialogue makes sense for the character and the situation, then this can often be a good approach. I agree with you on all of these points. Great post. Cut to the point and it made me smile. This is a really good topic (because I have done this before). I personally like a lot of imagery and description with the characters’ appearances, but now I know not to describe them with a mirror. Anyways, I like some description of characters, but mixed throughout the story not just in a big blurb that interrupts the story for a paragraph or two and then continues on with the scene. The mirror description technique is one that always jumps out at me. It’s used so often that it calls attention to itself. Even the “checking damage” excuse to look into a mirror doesn’t seem to be that rare. This technique is almost excusable in a 3rd person narrative, but in a 1st person narrative it screams vanity. When it comes to the fictional characters I connect with and remember, it’s their personality or story I remember, not their appearance. Even when the person is insisting they’re not that good-looking (even though all their features seem to be on the quite-nice side of the scale), it’s hard to keep them from sounding vain after a lengthy perusal of themselves. Although I think a physical description of the main characters helps the reader, I would say that having one of the other characters describe 1 or 2 things would make it more believable. I’ve also used action to help physically describe a character — like saying the character’s stride was long because of his tall slender build — or something like that anyway. There are lots of great (and pretty easy) ways to stick in important character info – such as height, hair style, etc. What you mentioned about “stride” is a good one. I think a big point in this is that you want any physical descriptions to be totally meshed and integral to who the character is in their entirety, inside and out. Generally I choose the descriptive sentence here and there technique-the little tidbits that can illuminate character-“his quirked smile flashed”, etc. However for one character in my current story I did choose to use the mirror method. In this case the character is NOT beautiful (at least in the beginning) and she’s self-obsessed-not really even about her beauty, but a lot of other personal aspects. To me it seems like the whole mirror thing can be a reflection (no pun intended) of who she is at the time-looking into and at herself and stagnating in what she finds there. Do you have any thoughts on how that all sounds? In instances where the mirror itself plays a role in the story (literally or symbolically), we have a little more leeway for using this technique. Knowledgeable readers still may wince a bit, just out of habit, but since you’re using the technique in a story-centric way, there’s nothing wrong with it. Not to do this. Pointed. But I think it can be usefull sometimes. Maybe it doesn´t have to be an actual bathroom mirror, maybe just a glass, but I kind of feel like a carácter with a burned face, a scarred face of something similar will need to see it to start thinking about how he or she feels about se. Or, at least, see someone else´s reaction. This post isn’t at all a condemnation of description in general. But although it will at least make more sense for a disfigured (temporarily or otherwise) character to observe his appearance, it’s still good for us to be aware that, if nothing else, this is an overdone technique.